We at EffiaSoft are promised to deliver a user-friendly, comprehensive and affordable business solutions dedicated for MSME segment of India. 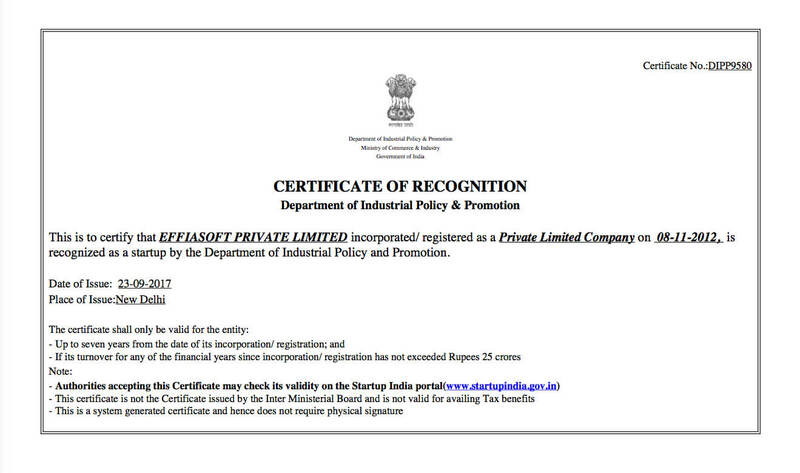 Our endless effort towards product excellence made EffiaSoft recognized as one of the most happening and successful startup by the Department of Industrial Policy & Promotion, Govt of India. We look forward to a brighter future and immense growth of the organization. Thanks to all the core members, customers and well wishers for making EffiaSoft a successful startup.